Did GoT stars give away the ending? Over eight years, Game of Thrones actors have become very good at keeping secrets. No matter who's asking - their mum, their postie - they need to keep their mouths shut. On a recent press day, the shows' stars were keeping any spoilers to the upcoming final season to themselves, under threat of death or, more likely, contract breaches. 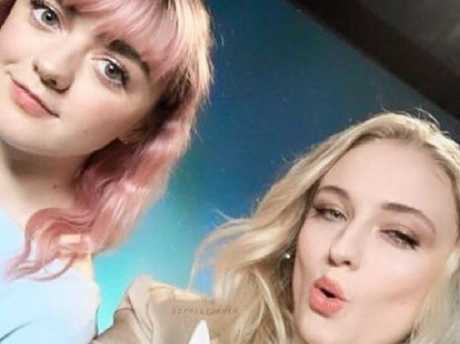 But Sophie Turner and Maisie Williams - Sansa and Arya - may have let something slip. Well, it depends on how you read it. Asked by news.com.au if they were personally satisfied with their characters' fates, Turner and Williams both paused before uttering one or two "hmmms". Then, in a revealing comment, Williams said: "Of course. But I think it doesn't matter which way it went, it would just make yourself feel sad if you were negative about what happened to you. "It's like tough luck, we filmed it now. That's the end." Now, I don't know about you but that's ringing alarm bells for us. You don't tend to "feel sad" or "negative" if your character gets a happy ending - riches, the throne, family dinners with brimming plates of turkey legs. That doesn't bode well for the younger Stark. Then Turner jumped in and said: "I'm at peace with it. That's a good way to say it. We'll say it like that from now - I'm at peace with my ending." Peace + ending = death. So now things aren't looking good for the older Stark either. Of course, Turner and Williams are great friends and seem to enjoy doing press days together, and they may very well be playing around and throwing out some red herrings for the fans to pick over. But if there's any truth in their answers, it's a foreboding one. 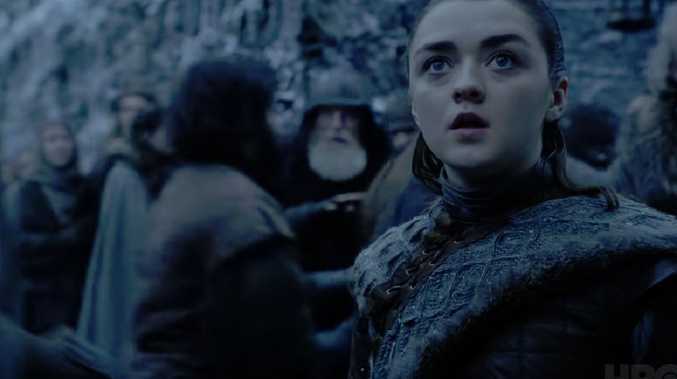 And if you take that and add it to the Game of Thrones trailer released last week, which features an injured Arya running through the bowels of Winterfell with absolute fear in her eyes, we wouldn't bet on the Starks making it out of season eight alive. 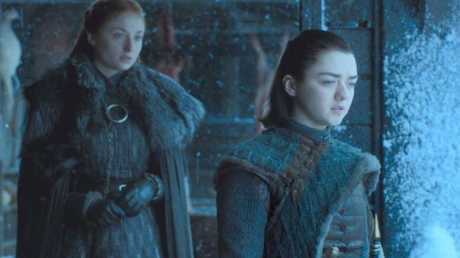 After a plot between the sisters in season seven to take down Littlefinger, at least now they're allies instead of rivals. Williams and Turner have stressed that their characters are absolutely on the same side. "I think they're over that [mistrust] now," Williams said. "And they're both mature enough now to not ever go back." Turner added: "Instead of seeing each other's differences as a threat, they appreciate it and they want to utilise it together to make them stronger. "Particularly moving into this new season, I think they both start to see a lot more of the challenges one another faces and I think for both of them, they have the utmost respect for each other." The final season of the popular series returns on April 15 after a two year wait by fans for the conclusion of the epic story of power and survival. With the end nigh, and season seven's surprisingly low body count, many fan favourites are expected to be dispatched to the great beyond, probably violently, before the final curtain drops. Who will survive the war with the White Walkers and the deadly battle for the Iron Throne will be revealed imminently. Game of Thrones will return on April 15 on Fox Showcase at 11.30am, with an encore screening at 8.30pm. 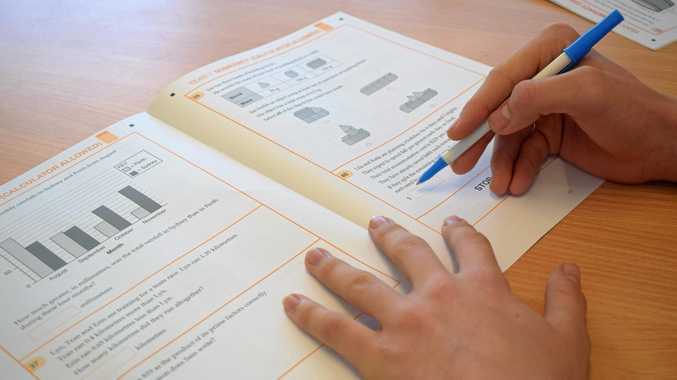 News THE results are in for schools around the Bundaberg region who sat the Naplan exam in 2018.